The process of writing an essay, whether in school or in college, does not begin with the first sentence you write. As a matter of fact, each essay requires long and thorough preparation. One part of this process proves to be a plan that you need to write in order to organize your paper in the best possible way. A good plan always leads to a good essay. But is it really necessary to pay attention to such an insignificant difficulty? You are certainly free to choose what to write about, in what way and for how long. Notwithstanding, here you will find some useful tips regarding an essay plan that will help you elaborate an excellent essay. Think about an approach particularly required for such a topic. It will be a good idea to find the topic which has not been researched well by now. Talk to your instructor concerning your essay and its theoretical framework. Write down all your thoughts, insights and conjectures that come to your mind. Try to reflect on the topic. A recommended way to gain more inspiration is to think over your essay before going to sleep. The next morning you will be surprised to find out how many insights there are in your head. Make sure to note it as soon as possible because insights come and go pretty fast. Now you need to read more on the subject. Find five titles (two books and three articles, for example) which seem to be fundamental for your work. They should be relevant to your subject. However, do not go too far unless you are writing a diploma thesis. While reading, write notes regarding all important points. Having read the books/articles, you can write the second draft of your plan. Now you are more informed and have more comprehensive knowledge on the subject. One paragraph (two or three sentences) should be enough. This formulation should be incorporated in to your essay. Put it under the title. Introduction. It does not need any elaboration here. Theoretical framework. This part of the text will include the sources you employ, amongst them being the theory or the idea you adhere to or argue for. Arguments. Here you can list three arguments in favor of your thesis. Conclusion. Likewise introduction, it does not need special elaboration in the plan. Bibliography. We recommend you to format your bibliography prior to writing the essay. Thus, you will have enough time to write, instead of looking for the instructions on how to format your Works cited page on the internet. Thus, you can include the bibliography in the essay plan. Attachments. If there are any, you should merely mention them so not to forget to submit them together with the essay. Step-by-step essay plan: 1. Introduction; 2. Theoretical framework; Arguments; Conclusion; Bibliography; Attachments. You may introduce new ideas or add new sources. Your thesis will be also modified, which is quite usual. If this happens, do not forget to also modify the arguments. You can divide every point into sub-points, thus making your plan more clear and accurate. Writing an essay plan should not be underestimated. It will make the writing process much easier for you. Use the above tips every time you need to write an essay and an excellent result is guaranteed. 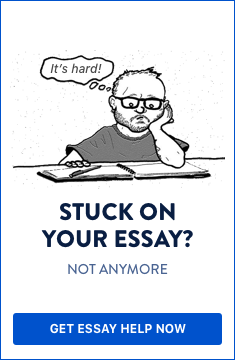 Do you need help with writing your unique essay plan?